For some Concordia students, reading week is a chance to catch up on school and study for midterms that linger ahead. For others, it’s their version of spring break. But at the John Molson School of Business, the arrival of reading week couldn’t come sooner. While most of the student body is at home, enjoying their break away from Concordia, JMSB is busy suiting up and getting down to business. 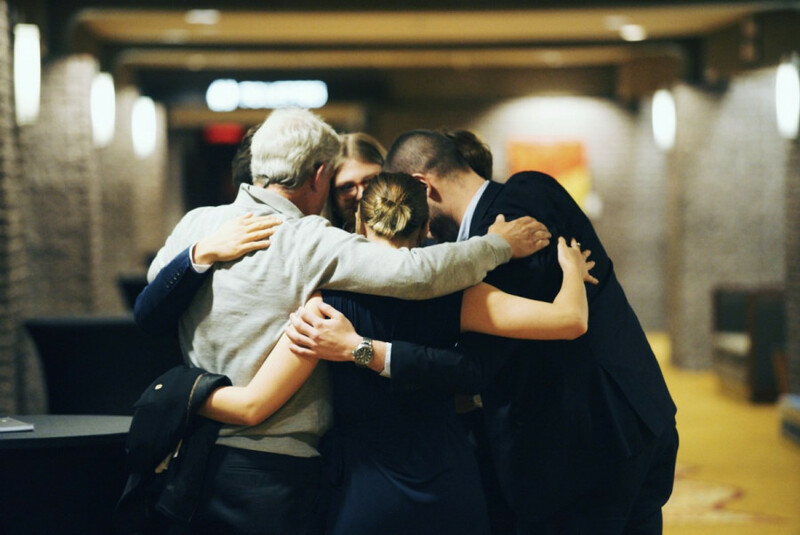 This past week marked the 10th anniversary of the John Molson Undergraduate Case Competition, which took place from Feb. 18 to Saturday, Feb. 24. JMUCC is a week-long international competition. Fourteen different countries were represented this year, for a total 96 competing students from 24 schools. Schools are separated into six divisions of four teams. Each team is made up of four students, selected by their respective university. For Concordia, students who are selected to go are chosen by the John Molson Competition Committee, which is by JMSB students. In the first round of the competition, teams work on three different cases over three days. Teams are asked to tackle a problem a company is looking to solve with three hours to prepare, and teams don’t get access to the internet. “We have no knowledge of what the case is gonna be,” said Virginie Belliveau, who represented Concordia in this edition of JMUCC. They then proceed to present to a panel of judges—often industry professionals. For their 30 minute presentation, teams take on the role of a consulting firm and must convince judges that their idea is the best the company could implement. The top six teams from each division advance to the finals, with the best runner-up across all divisions moving forward as well. The second and final component of the competition is the 24-hour case. Finalists are once again assigned a problem with a full day to prepare, while this time having internet access, and present again to the judges. At the end of the weekend, Chulalongkorn University from Bangkok Thailand were the winners of the competition, with Queensland University of Technology and University of South Carolina coming in second and third place respectively. 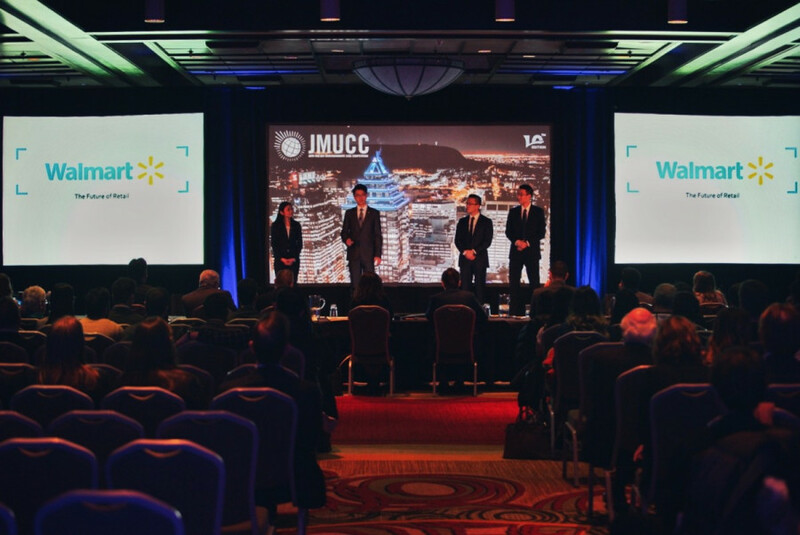 “The reason behind it, was really, for competitors to create an opportunity to apply [what they learned] in the classroom into a context that’s more realistic,” said Kevin Gemme, vice-president of public relations and sponsorship for JMUCC. “At the same time, they learn a lot of valuable skills—building your ideas and presenting them to a panel of judges [in a high pressure situation],” he continued. From marketing, human relations, finance to accounting, students are pushed to focus on more than one aspect of business, Gemme explained. Robin Yap, a professor at George Brown College in Toronto, has been judging at JMUCC for the past three years. He noted that apart from the strategy of each presentation, judges also look at the “critical thinking, structure and solidity” of the teams’ presentations. JMUCC Concordia representatives prepared for the competition for almost three months. The team, which consists of Belliveau, Florence St-Arnaud, Luca Hogland, and Nathalie Rosochowicz, have been meeting up to three times a week to talk strategy, practice and gain exposure to different industries. Because of the complexity of the cases and the feedback given to students by judges, Gemme said that the progress of each team is evident throughout the competition. For Matthew Ou, one of the representatives from the University of Toronto, the competition’s strict deadlines allowed his team to change and adapt to their situations. Ou’s teammate Victory Luu added that “it was interesting to see” how high the bar is at different universities. Gemme also stressed that the social aspect of the competition is one that “means a lot” for volunteers and competitors. Students are also given the chance to network with judges and sponsors of the competition as well. “You get so much out of [the competition] in terms of professional level and also a personal level with the connections you make,” said Gemme. In a pervious version of this article, the term JMUCC was written as John Molson Case Competition when it should have been John Molson Undergraduate Case Competition. The Link Regrets this error.